Our existence is a relentless search for a solution, what comforts us, whatever gives us happiness, drives away all bad things. Some travel a long and difficult road and perhaps find nothing at all . . . the rest of us admire their tenacity but have enough trouble ourselves simply existing, so we take cure-alls instead of searching, continually asking what is the shortest path to happiness. The stereotypical depictions of heaven and hell as destinations have no place in this novel by Jón Kalman Stefánsson. Set in Iceland, his locations are very much tied to the earth, a chilly place where there is neither burning heat nor angelic bliss. Instead, he toys with the various meanings that a person may ascribe to each—sometimes comically, at other times deadly serious. And while the life he describes never reaches tremendous highs or lows, it is the simple in-between that makes a satisfying destiny. From this point, the orphan begins a quest to return Paradise Lost to its owner, an aging sea captain in his own hell, confined to his personal library that mocks his blindness. In returning through a blizzard to an isolated town near Reykjavik, grief over his friend’s death prompts the boy to plan his suicide. 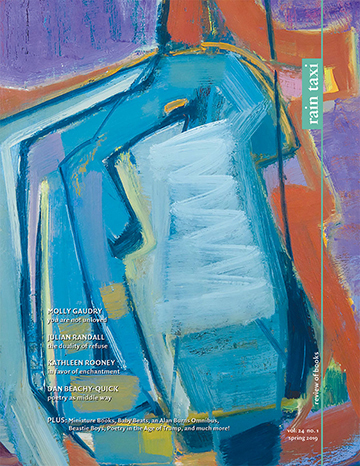 Yet the care he shows in planning it, to assure that no child finds his body after the thaw or that the book be damaged, foreshadows a value he puts on others that makes us hope he will value himself. His journey completed, he finds his tentative plans no match for the strange appeal of a simple life: the warmth of a fire, the glance of a pretty girl’s bosom, or the sight of a clear, starlit night. Stefánsson wrote Heaven and Hell so beautifully that portions of it feel like poetic verse. He reveals dimensions of the Icelandic landscape far beyond the typical cold—the region is alive with its own moods and tension. Stefánsson uses birds as an atypical motif to signify uncertainty and remorse, and shadows and light don’t always play to type. The characters he creates are at once impossibly strange and yet familiar. The town drunk wades around the Village and contemplates his dreadful existence, yet in the next moment he’s flirting outrageously with an old widow. That the author can, in just a few brief paragraphs, make this character’s thoughts sound realistic in opposing situations—one sad and the other riotously funny—reveals a concise hand that knows human nature. 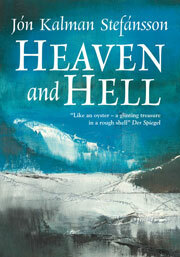 While a quiet novel, Heaven and Hell proceeds to a satisfying denouement that never becomes complacent or overwrought. The struggle for life and death ties its characters to each other and to the land—an afterlife never enters their thoughts.